It comes as no surprise that setting up a post about the most beautiful places in the US is quite challenging. 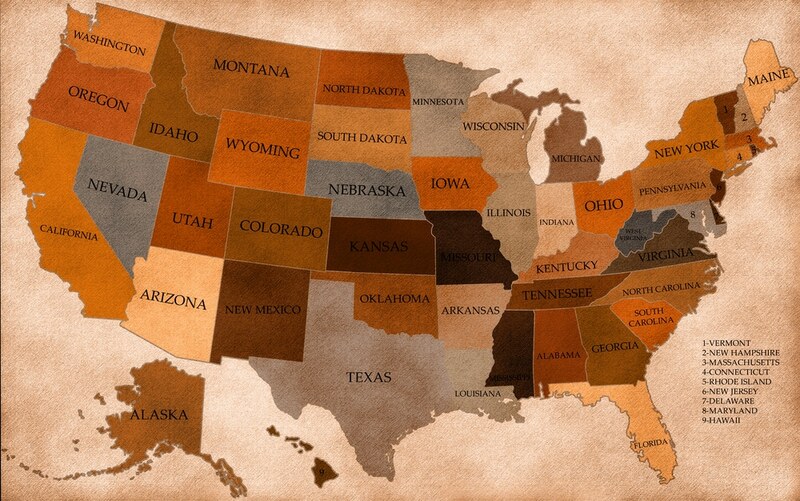 The US has so many great places to visit that it is hard to select and just name a few. However, some fellow travel bloggers and I faced the challenge and named our favorites places in the US – well, find out about the best cities and towns to visit in the US (there will be a separate post for nature-lovers soon). Spoiler alert: If you ever plan to road-trip through the US, make some extra rounds to see more than just the spots that you´ll come across when going down Route 66. Miami’s first European explorer was Ponce de Leon in 1513. He was searching for the fountain of youth, a legend repeated by the native American Indians. Since that time, visitors have continued to come to Miami, this time in search of fun and sun. And Miami has plenty of that. 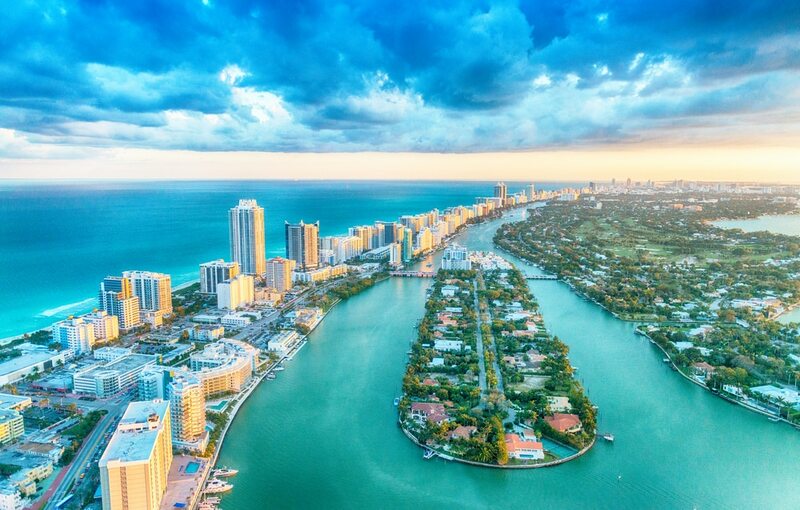 Barely 100 years old, Miami went from a tiny village to becoming “The Magic City.” Where one there was just a beautiful beach to recommend it, now there are world class museums such as the Perez Art Museum and cultural centers like the Adrienne Arsht Center for the Performing Arts. Miami has reinvented itself yet again, this time as a cultural Mecca and culinary destination. My favorite aspect of Miami is its multi-culturalism. Today the city is not just the home of the Cuban diaspora so evident in the streets, shops and restaurants of Little Havana. The influx of folks from Haiti, Venezuela, Russia and many other places give the city a cosmopolitan air. Today’s Miami is a wonderful city with loads to keep you busy for a day or a lifetime. Santa Cruz is a peaceful stretch of stunning beauty on the Central Coast of California. It has so many things to do that you should plan to spend at least 2 days here. 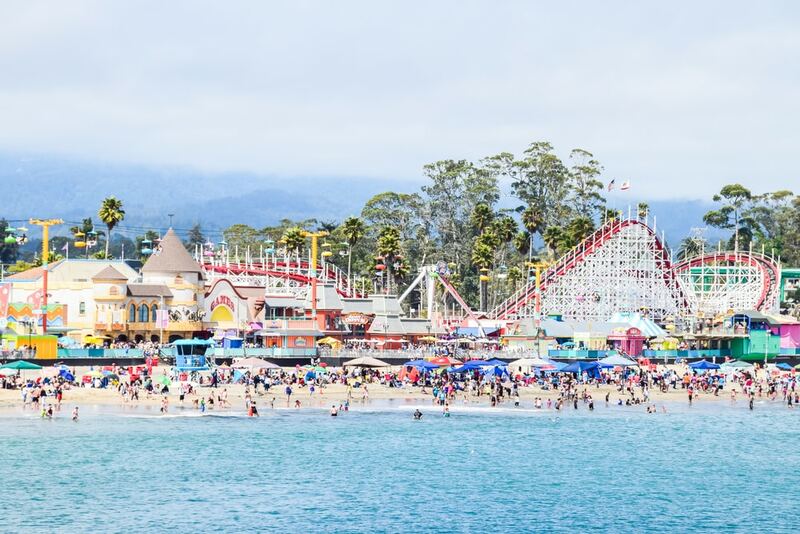 The famous Giant Dipper roller coaster and classic vintage rides at the Santa Cruz Beach Boardwalk must be added to your itinerary. Natural Bridges State Beach is the most visited attraction in Santa Cruz. Next on the list are the Lighthouse Field State Beach, Santa Cruz Wharf, surfing at Steamer Lane, Sky Glider and the beautiful gardens at Mission Santa Cruz. Out of all the many delights that Santa Cruz has to offer, my absolute favorite is the Natural Bridges State Beach. As soon as you enter the beach, you can spot the eponymous natural bridge majestically towering over the water. If you plan to visit this amazing beach around December, you will be lucky to spot a few whales too as it is their migration time. Natural Bridges State Beach is also a great place to witness the Monarch Butterflies too from around October to February. Along with checking out the guided tours at the Monarch Butterfly Natural Park, there are many things to do at this beach like hiking, nature walks, picnics, surfing, kite flying and just soaking up the sun lazing around the beach. Las Vegas is definitely not a hidden gem. 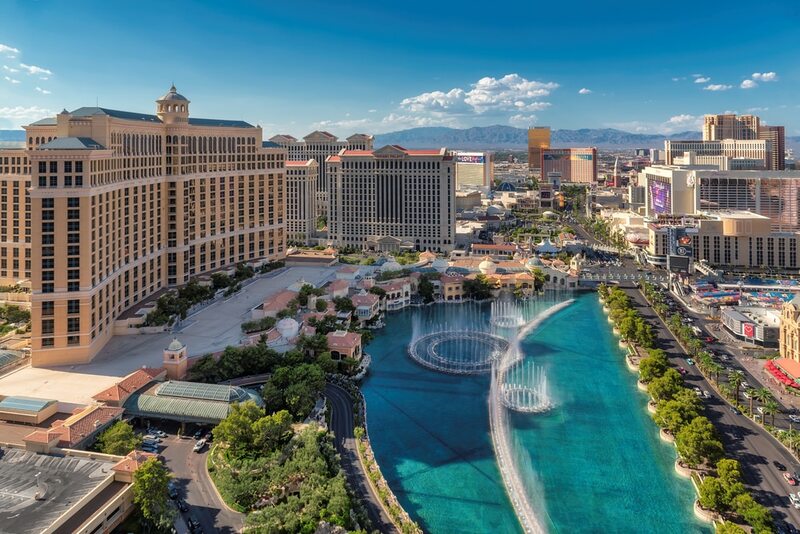 With more than 40 million tourists each year, you are not discovering a well-kept secret when visiting this city in the state of Nevada. Nevertheless, Las Vegas is one of the places that you have to see at least once in your lifetime. Big resort hotels are their own attraction, with casinos that are too attractive not to try at least once (btw: beginner´s luck definitely applies here, as I won $55 the first time I ever gambled – which, of course, was in Vegas). But, do not waste all your time at the casinos. 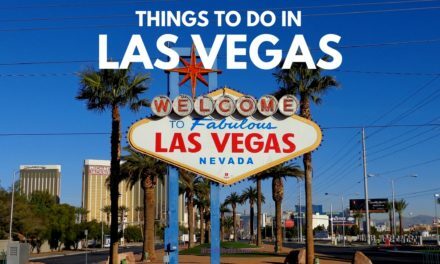 Check out the amazing hotels, which are open to public and quite interesting to explore; visit the pool parties there; walk the famous Las Vegas Strip; or pay a visit to one of the numerous clubs. If you prefer shopping you´ll also find a few good outlet stores which makes shopping in Las Vegas quite fun. And if you are tired of all the lights and craziness of Las Vegas, I highly recommend a day trip to the Grand Canyon to calm down and recharge your battery for another crazy day in Las Vegas. 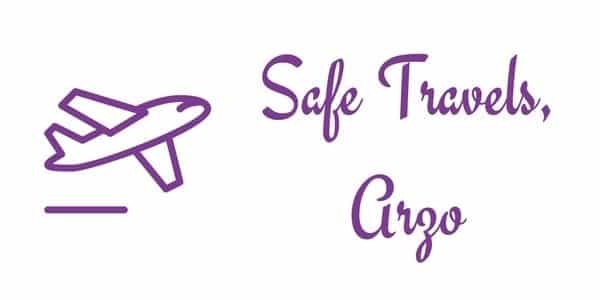 Click here to read my Las Vegas Quick Guide. Everything’s bigger in Texas, so you can expect to have a big time in Dallas. Prepare to be greeted with Texas-sized smiles and don’t be afraid to say “Hi y’all!” to the people you meet. 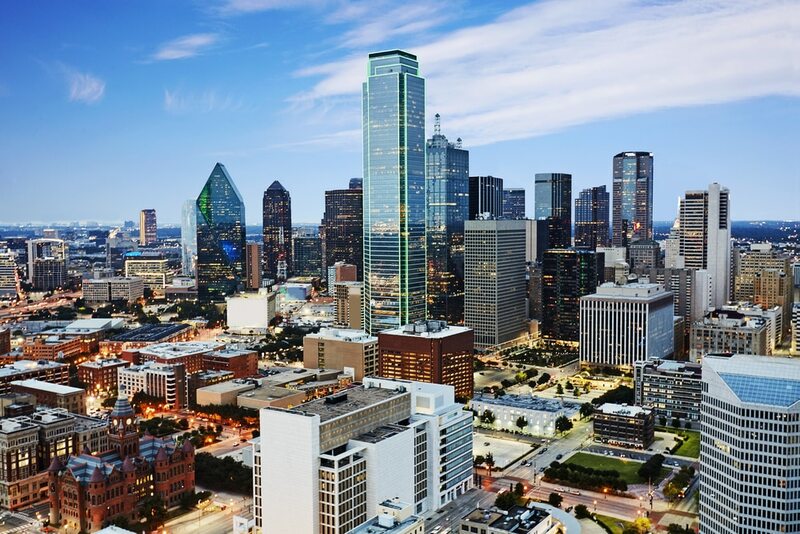 While you’re in Texas’ third largest city, be sure to cheer on the Dallas Cowboys… we love our football team and hope to see them in the Super Bowl again one day. With its retractable roof and one of the world’s largest high definition video screens, the AT&T Stadium is worth touring even if the Cowboys aren’t playing a game. Make like Bonnie and Clyde and head down to the Bishop Arts district, the neighborhood the famous criminal couple called home. In this trendy area, you can visit more than 60 independent boutiques, restaurants, bars, coffee shops, theaters and art galleries, and maybe even join their monthly wine walk. If you’re looking for some outdoorsy fun, check out Klyde Warren Park, an urban greenscape built over the Woodall Rodgers Freeway. From food trucks and fitness classes to Dallas’ own version of ice skating in the winter, the park offers a fun time for everyone. For a special night out with the best views, visit Wolfgang Puck’s restaurant Five Sixty atop Reunion Tower. Floor to ceiling windows on the 50th floor of the city’s iconic revolving restaurant offer amazing 360° views of Dallas. In a city of movers and shakers, enjoy meeting friendly and innovative locals in a city that welcomes you as you discover all the amazing experiences the city has to offer. I lived in California for several years and one of the places we’d often go for a weekend getaway from the San Francisco Bay area was Cambria. The town is located almost halfway between Los Angeles and San Francisco, making it a great stop for those doing a California road trip between these two cities. This coastal town is probably best known for its beaches and proximity to Hearst Castle, but there are loads of things to do in Cambria. Some of the top things to do include visiting its beaches (colorful Moonstone Beach is often voted as one of the top beaches in California), going vintage and antique shopping, and wine tasting (Cambria is part of the Pacific Coast Wine Trail). There are also historical sites of interest, scenic local preserves, and quirky places to visit like Nitt Witt Ridge which is a home built almost entirely out of found objects. 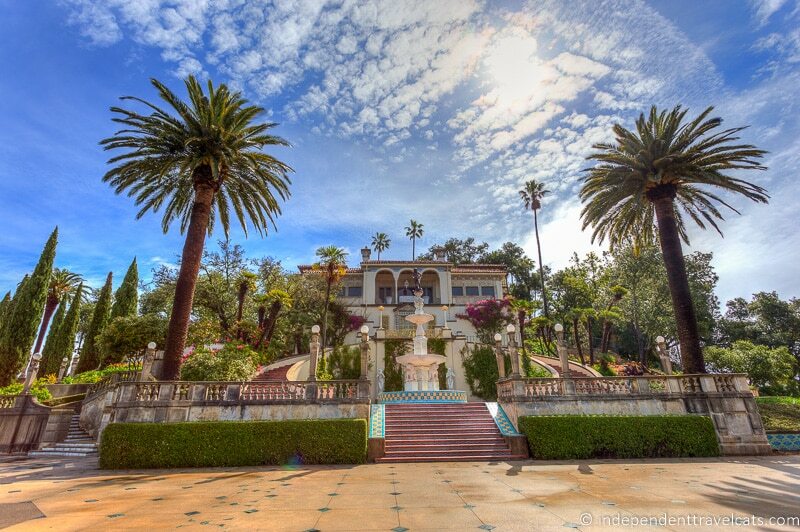 Nearby in San Simeon, you can visit one of California’s top attractions, Hearst Castle which is the opulent home of William Randolph Hearst. In little San Simeon you can also visit an elephant seal rookery where, depending on the time of year, you might be lucky to see hundreds of these amazing creatures lying on the beach. Cambria is a great place to visit any time of the year and perfect for a romantic weekend getaway! After speaking to many people about the City of Angels, I have seen a recurring pattern – you love it or hate it. Yet after further investigation, I have seen that those who land at LAX and go directly to the clichéd sites like Beverly Hills, Rodeo Drive, and the Hollywood Walk of Fame usually describe Los Angeles as dirty and pretentious, and they’re probably right. But there is another side to LA that many weekend visitors miss. After living in LA for a year, I fell in love with the place. 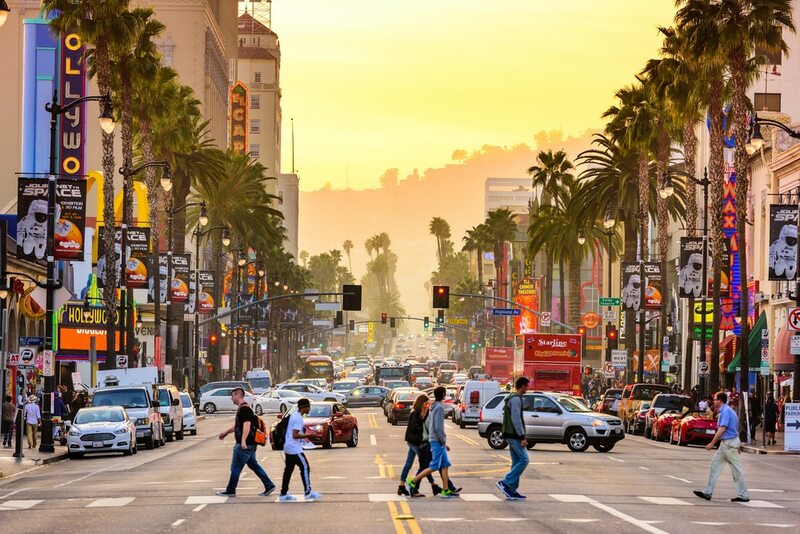 Los Angeles is a vibe more than a destination with a mixture of hipster, Hispanic and hippy. It’s fun to walk along Malibu beach and dream of being rich and famous, but it’s as entertaining to see the lively characters along the Venice/Santa Monica strip. In fact, each beach has a life of its own. There is also so much culture to explore and so many sites to see. Rather than looking for the Hollywood sign, go for a walk around Runyon Canyon starting at Griffith Observatory. Admire some art at the Getty Museum or one of the many downtown galleries. The adventurers can explore Topanga State Park or hike Angeles National Forest. The old towns of Glendale and Pasadena are a pleasant surprise. Koreatown is crazy big and wonderful, Little Tokyo is hip and the Sunset Trip provides a sense of nostalgia. 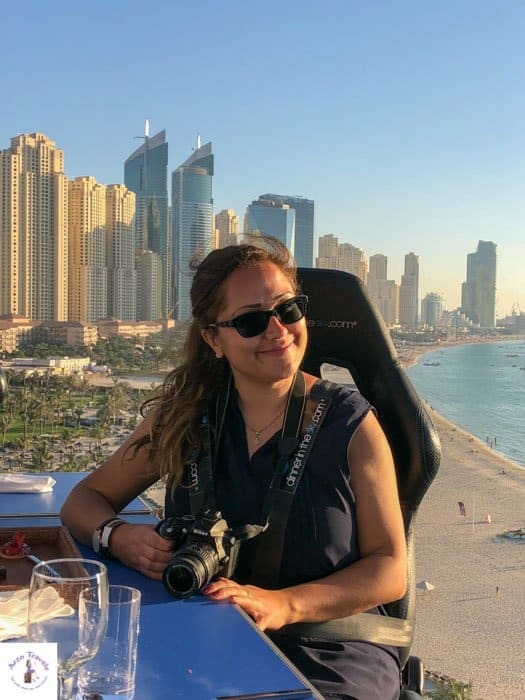 All in all, there is so much to this diverse city than meets the eye and travelers should definitely lift the pretentious and touristy veil to find the many hidden gems. If you are looking for an adventure in the mountains then Aspen is the best place to go in the US for sure. You may think this chic mountain village is the ultimate winter destination but think twice! In summer there are multiple amazing hiking trails, viewpoints and mountain bike routes for the grab. Come to Aspen for a dining experience up high in the mountains and stay overnight in one of the luxurious mountain lodges and stare at a million stars at night. Needless to say that this place is the ultimate winter destination and one of the most famous places to go in the US. 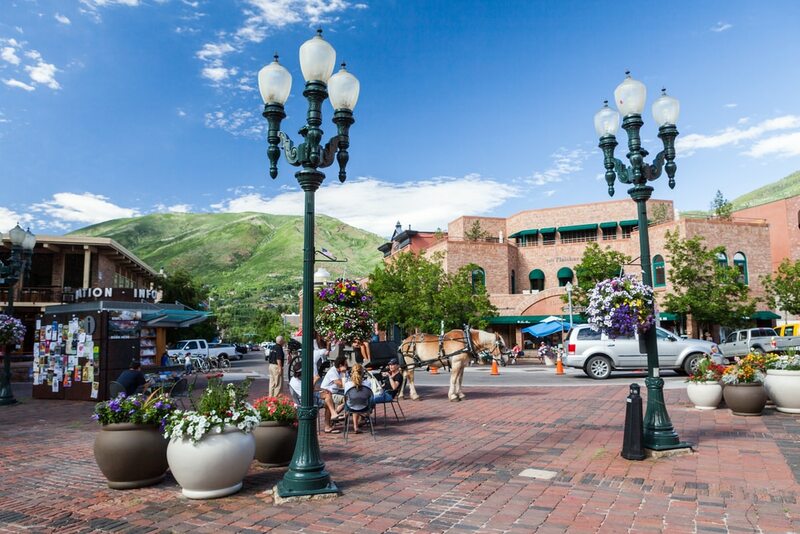 Not only is Aspen one of the biggest ski areas in the country regarding kilometers of groomed tracks, this beautiful mountain village also comes alive at night when the ski crowd comes for their daily crave of apres-ski. Aspen village is also renowned for organizing massive events like for example the world famous Xgames in winter including world-famous international DJ’s. Don’t think this is a place for the rich and famous only. Yes, there are endless choices of out of this world mountain chalets but there are some mid-range accommodations as well, check out St. Moritz Lodge with an outdoor jacuzzi for less than $100 per night. For any kind of mountain adventure, this is where you have to go in the US! Chicago easily gets my vote for best place to visit in the USA. One of the largest cities in the country, Chicago really has something for everyone. It is a special gem of a city that is easy and safe to navigate by foot or public transportation. 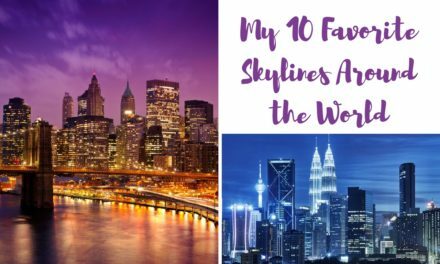 Famed for a skyline dotted with skyscrapers, this city is just as impressive from all angles. Whether a fan of shopping, architecture, museums, urban exploring or even lakefronts, rivers and green space, Chicago is sure to please. Visitors should definitely not miss the Chicago Riverwalk – a delightful pedestrian walkway along the Chicago River. Stroll, jog, rent a bike or take a seat at one of the many available benches and restaurants to watch the world go by. If you would rather be part of the water action, rent a kayak or hop on an educational cruise run by the Chicago Architecture Foundation (a beloved activity for locals and tourists). 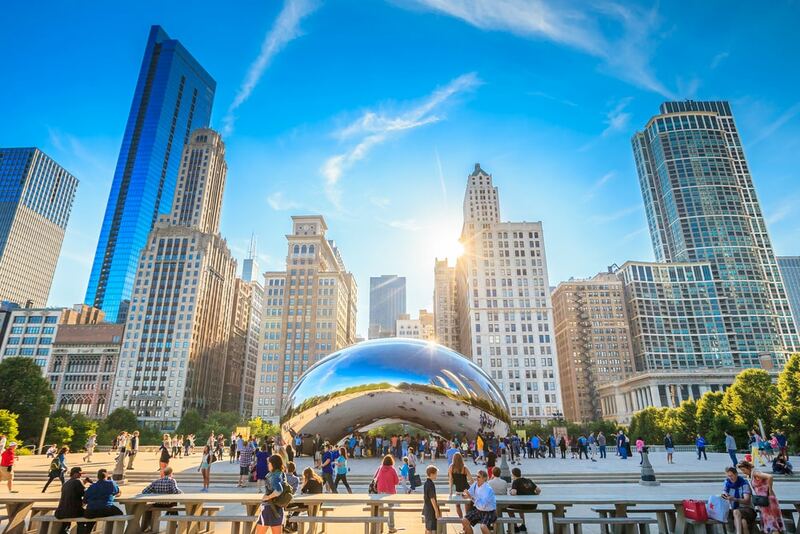 If indoor action is more your thing, or you’re visiting on a really cold day, check out some of Chicago’s renowned museums – especially the much lauded Art Institute of Chicago. Chicago is a delightful city to visit that really has something for everyone, no matter what interests you. There’s a place in the Pacific Northwest that claims to be weird and encourages its citizens to keep it that way. 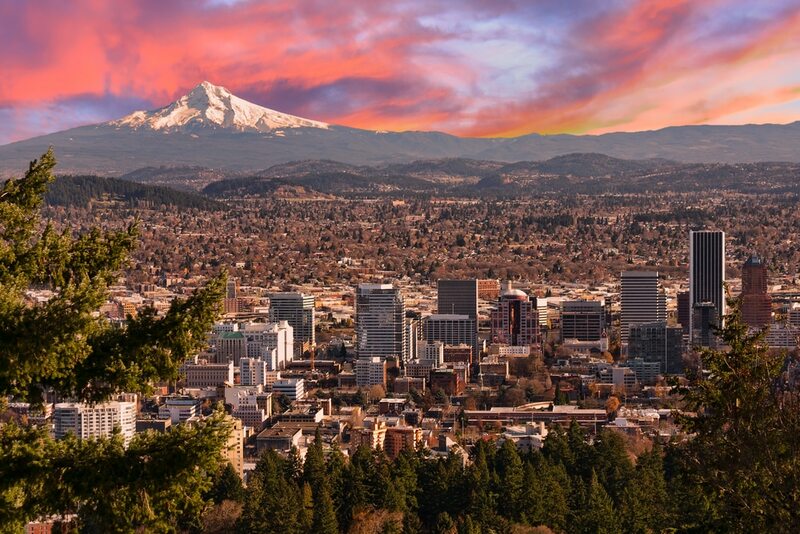 And while you may not necessarily find any extreme weirdness, you will find Portland, Oregon to be packed with fun, food and craft breweries, as well as being surrounded by stunning natural beauty. The perfect combination for a short getaway. Widely regarded as the “Food Truck Capital of America” there is now doubt you will find the perfect and cheap meal regardless your culinary preference and dietary requirement. While the city is easy to explore on foot or the cheap and excellent public transport, the real highlights are best found outside the city limits, and a car is essential to make the most of them. With visual treats the likes of Vista Point above the Columbia River Gorge, the incredible views of and from Mt Hood and the majesty of Multnomah Falls, you won’t know where to look next. And you may need to bring a spare memory card for your camera. Portland offers something to everyone, and does so without the sea of traffic and humanity that chokes many cities in the USA, which makes it a place you need to visit. Recommended by Peter from Where Is Your Toothbrush? Maine’s biggest city, Portland is a small, compact town with brick sidewalks that’s perfect for exploring on foot. Craft beer lovers appreciate Portland, Maine having the most craft breweries per capita (in addition to well-established Allagash and Shipyard breweries, the new, cool kids on the brewing block worth visiting include Liquid Riot, which also doubles as a distillery, Rising Tide, and Bunker). At the center of it all stands the Old Port neighborhood, a historic downtown with lots of restaurants and bars. Running along the bay front, Commercial Street features a number of seafood markets. Art lovers head to the Arts District, where the Portland Museum of Art tops the lineup of museums, galleries, and theaters. Trails around Back Cove and the Eastern Promenade are perfect for a stroll or a jog. 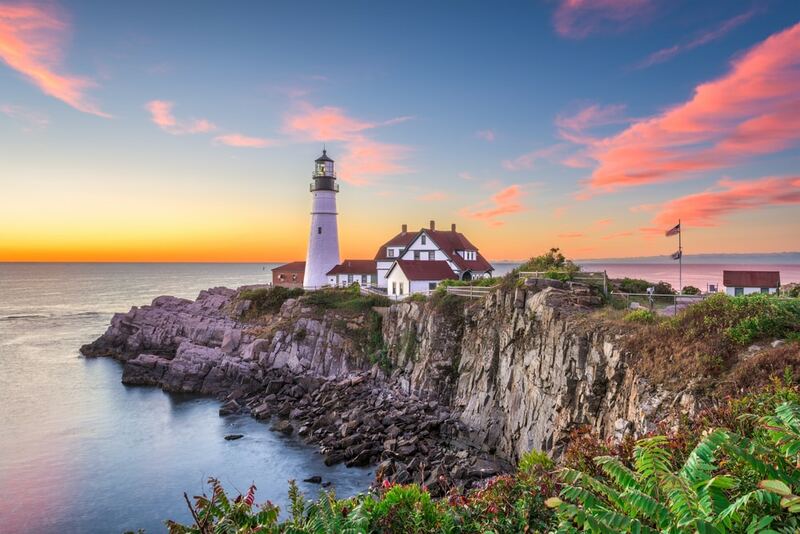 And if you want to take a break from the urban bustle, a boat trip around Casco Islands or a drive to Cape Elizabeth with its famous Portland Headlight lighthouse both offer a plethora of views and fresh ocean air. Whether it’s because of food, craft beer, art, or the outdoors, Portland, Maine should be on everyone’s Northeastern US itinerary. Before I traveled to the US for the first time, I did some research on “the most beautiful city in the USA,” and quite a lot of people named San Francisco. Apparently, this meant that I had to add San Francisco to my US itinerary, and I did not regret it. Though San Francisco was extremely cold and windy in July (so make sure to pack accordingly – even in summer), it is indeed a beautiful city and a must-see place in the US. Since San Francisco is hilly, it also offers great views over the Pacific Ocean and of San Francisco itself. While it makes strolling around a bit harder, one of the best things to do in San Francisco is to hop on the famous cable cars and discover the city at the bay by tram, foot, and bike! The bike tour is the best way to pass the most famous attraction of San Francisco – the Golden Gate Bridge. 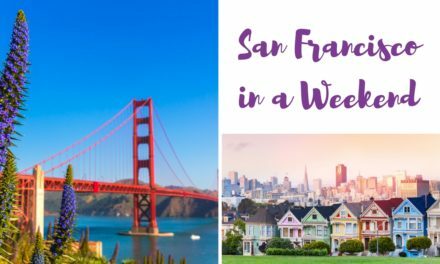 But, there is much more to see in San Francisco, so if you visit this liberal city in California, make sure to see the Painted Ladies, Twin Peaks, and Fisherman´s Wharf, as well. Click here to read more about a trip to San Francisco. Washington, D.C. is one of our family’s favorite cities to visit. We always make sure to visit the National Mall, a national park that stretches from the Capitol to the Lincoln Memorial and contains dozens of famous landmarks and museums. The Mall is also the site of Presidential inaugurations and many protests. The Washington Monument that towers over D.C. stands in the center of the Mall, and reflecting pools are perfectly positioned to reflect both the Capitol and Washington Monument. Smithsonian Museums line either side of the Mall between the Washington Monument and the Capitol, and all offer free entry. Smithsonian highlights include the Hope Diamond in the National Museum of Natural History, the impressionist galleries in the National Museum of Art and the Mercury spacecraft, Friendship 7 that John Glenn used to orbit the Earth at the National Air and Space Museum. Contact the office of your Representative or Senator in advance to book a tour of the Capitol. On the West side of the Washington Monument, you pass the Vietnam Veterans Memorial in Constitutional Gardens on the way to the Lincoln Memorial. As the capital of our country and home to so many national landmarks and museums, a visit to this must-see city is truly a history lesson in itself. Savannah is a beautiful coastal city in Georgia, USA. This city is known for its perfect parks and its antebellum architecture. The historical district is one of the most charming aspects this city has to offer. Savannah has numerous cobblestone squares and established trees with the mysterious Spanish moss that are scattered throughout the district. You can even see the square where Forrest Gump ate his box of chocolates. The historical district is one of the most charming aspects this city has to offer. Savannah has numerous cobblestone squares and established trees with the mysterious Spanish moss that are scattered throughout the district. You can even see the square where Forrest Gump ate his box of chocolates. In the center of the historic district is the Gothic style Cathedral of St. John the Baptist. Inside the oldest Roman Catholic Church in Georgia is a beautiful pipe organ which is simply breathtaking. Also in the historical district is the Bonaventure Cemetery which became famous when it was featured in the novel ‘Midnight in the Garden of Good and Evil’. I highly recommend one of the walking ghost tours that will give you the grime history of this beautiful city. You will experience all of the highlights of the historic district at night. 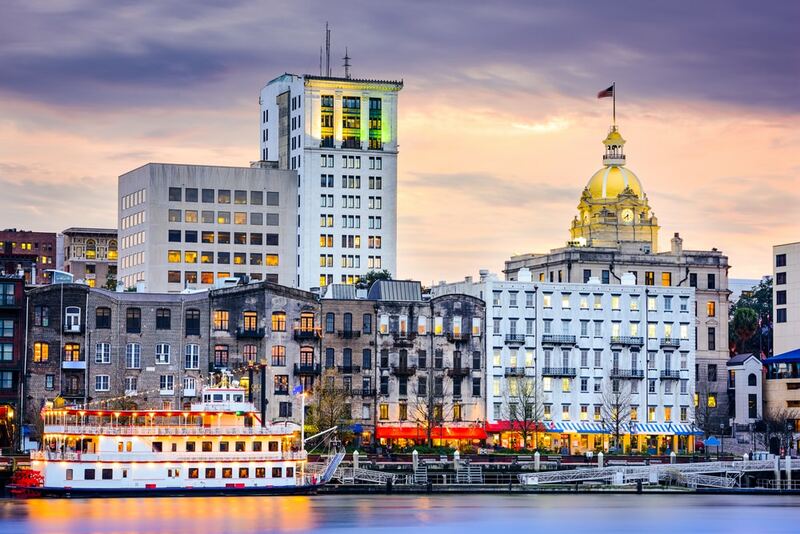 You really should not miss out on Savannah; one of the prettiest historical cities the US has to offer. Baltimore is a must-visit city with so much to offer. It has a special place in our hearts because it has been our home for the past 11 years. 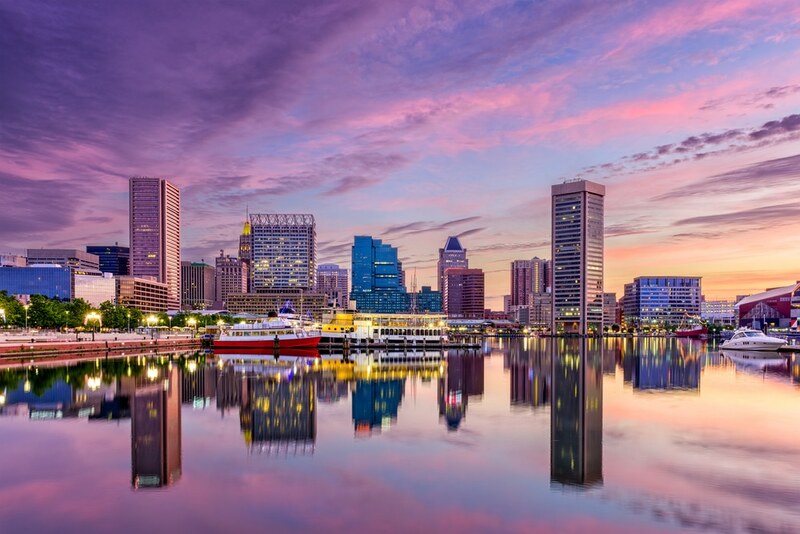 Charm City is just a one-hour drive from Washington D.C., making it a perfect excursion from the nation’s capital. Baltimore’s beautiful Inner Harbor attracts tourists from around the world and is a great place for shopping, dining, and people-watching. Make sure to visit the National Aquarium, which is the largest tourist attraction in the state of Maryland. Some interesting museums in Baltimore include the B&O Railroad Museum, the “birthplace of American railroading” and the Edgar Allen Poe House where he lived and wrote some of his best works in the 1830’s. Also make sure to visit Fort McHenry, where Francis Scott Key was inspired to write the poem that became the National Anthem. Baltimore is a must-see city because it is so full of life and offers something for everyone. Foodies, history buffs, artists, musicians, families with young children, and more will find activities and sights to entertain them in Charm City. San Diego is home to some of the best weather and beaches in the U.S., with plenty of things to see, do, eat, and drink. 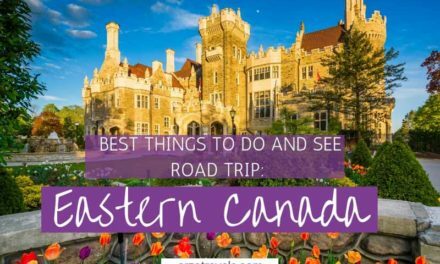 The laid-back vibes, warm summers and mild winters, and 70 miles of coastline are the star of the show. If beaches are what you’re looking for on your next vacation, some of the top-rated beaches to check out are: Coronado (long stretches of white sand next to the famed Hotel Del Coronado), Sunset Cliffs (gorgeous views, go at sunset), Ocean Beach(hippy vibes plus a dog beach), Mission Beach (boardwalk fun) and Pacific Beach (for bar hopping with coastal views). Just up the road a bit more you’ll find the gem of it all – La Jolla. From surfer’s paradise at Windansea to the seals who call the Cove home, the views everywhere are stunning. Need a beach break? The city boasts some great hikes including Torrey Pines State Beach, Cowles Mountain, and Potato Chip Rock. Cool off at one of the 140 craft breweries in the county, or any of the urban wineries popping up around town. Looking for more culture? Take a stroll through Balboa Park and it’s 17 museums, or hop south of the border to Tijuana, or even better, Valle de Guadalupe – one of the best wine regions in the world. If you’re looking for amazing weather, gorgeous beaches, and a destination with a variety of things to see and do, the Southern California city should be top of your list! Bend, Oregon is one of the most beautiful cities in the United States. Bend is tucked between the snowy Cascade Mountains and the desert of Central Oregon. With over 200 days of sunshine, it’s an outdoor enthusiasts dream location. Whether its summer or winter, there are plenty of activities for every age. You can’t miss a trip to Mount Bachelor, with skiing, tubing, dogsledding, hiking, and disc golf. Plenty of hiking options, the favorites are Smith Rock State Park and Tumalo Falls. Bend is the perfect city for a stroll on a bike, and there are plenty of bike trails to enjoy the scenery. Of course you can’t miss all the great drinks in Bend. The beer is second only to Portland, with plenty of breweries to wander to and from. If you don’t like beer, visit Atlas Cider Company or Humm Kombucha for a yummy drink. With gorgeous scenery, beautiful weather, and tons of outdoor activities, Bend is a must-see destination in the United States. Gainesville in Florida is a little gem of a university town. The University of Florida is located here, making for many unique hang outs for students and others. Plus, you know many of the younger generation love their veggie food – they have wonderful restaurants with things like falafel burgers. Right in the city is a giant park (not a zoo, but rather a trail you can walk down), which has wild gators – that’s right, go for a wee stroll and encounter some friendly gators. They won’t attack you, but you can’t take pets… for obvious reasons. Downtown is fantastic, with a ton of different types of bars for everyone’s liking – from dive bars to ritzy ones to places you can take your pet while you have a beer. 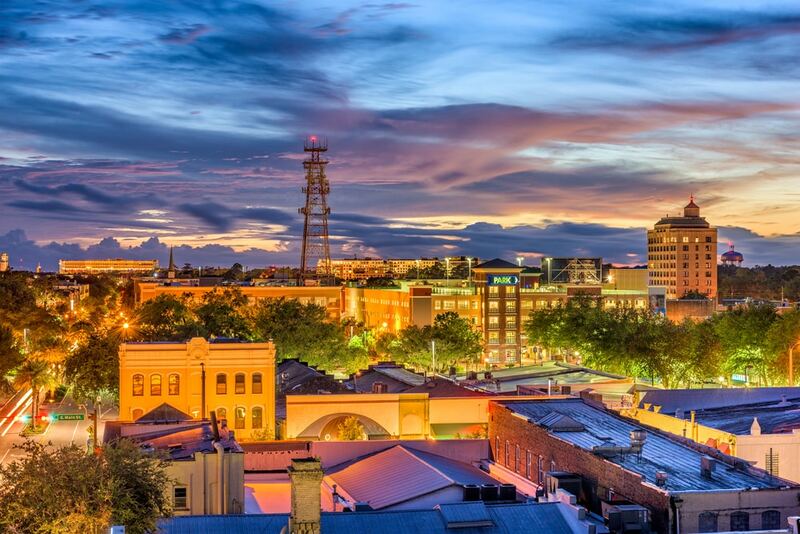 Gainesville is a unique and special town unlike the rest of Florida, and is definitely a must see while in the area. The Queen of all cities and my true love: New York City! No other city has such an iconic status, and no other city is as amazing as New York. While visiting the Statue of Liberty, strolling through Times Square, seeing a musical on Broadway, or (window) shopping on 5th Avenue are must-see places/activities for any travelers/tourist, my highlight was walking the Brooklyn Bridge from Brooklyn to Manhattan by night. This is an experience that does not cost anything, but will offer you the most amazing view you can ask for. However, this is not the only great view to enjoy in New York. First-time visitors to New York must pay a visit to the Empire State Building to see New York from another perspective. If you are on a budget and still want to have a great view, make sure to check out the 230 FIFTH Rooftop bar. 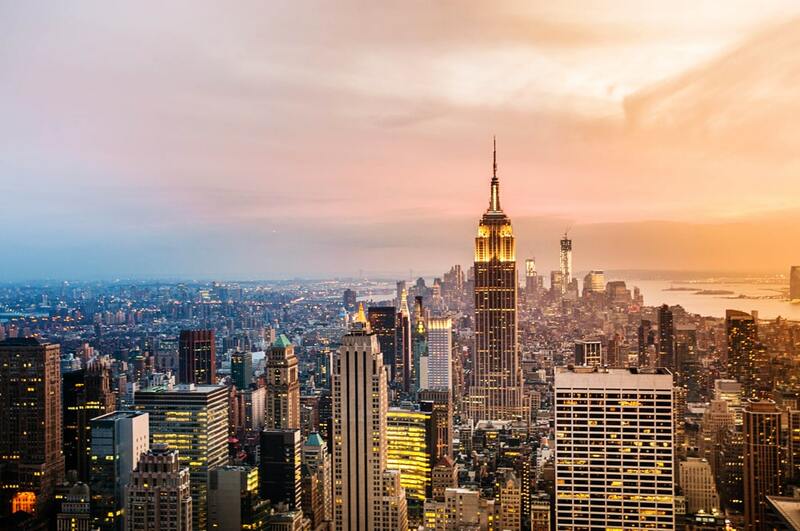 My top tip for New York is to get lost in its streets and discover the most interesting city in the world before relaxing in one of the city parks, like Bryant or Central Park. If you had only one place to visit in the USA, I would recommend visiting New York City, as it is the best city in the world. Click here to find out about my budget travel tips for New York.